Nearly half of TIAA-CREF survey respondents think they need $50,000-plus in savings to merit working with an advisor. 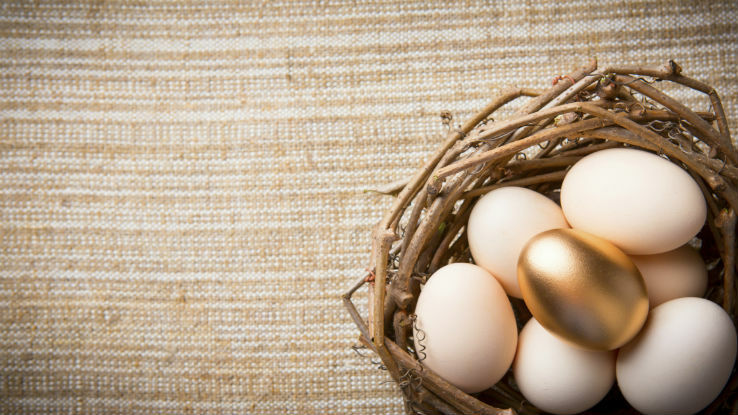 Nearly half of Americans believe they need a sizable nest egg to justify working with a financial advisor, according to new research. TIAA-CREF discloses this finding in a summary of results from its 4th annual “Advice Matters” survey. Conducted by KRC Research, the online survey polled 2,000 U.S. adults ages 18 and older in August. According to the study, 45 percent of respondents think they need at least $50,000 in savings to merit working with an advisor. Of those who have never received professional financial advice, 63 percent say, “I don’t have enough money to invest” as a reason. However, the research also finds that respondents who have met with an advisor are significantly more confident in their retirement savings plan than those who have not (78 percent versus 43 percent). monitored their savings more frequently (32 percent) and established a plan for paying off loans or managing debt (28 percent). Survey respondents who have discussed retirement with an advisor are more likely to “run the numbers” and calculate how much income they will need in retirement: 79 percent versus only 32 percent who have not met with an advisor. Nearly all of those who have met with an advisor have talked about turning their savings into monthly income upon retirement. And 58 percent have put a plan to do so into action. Though 49 percent of all respondents report that they have received financial advice, significantly more men (56 percent) than women (43 percent) have taken this step. Women who have not received professional financial advice also are more likely (41 percent) to say the primary reason that they haven’t worked with a financial advisor is that they don’t have enough money to invest, while only 30 percent of men report the same. Just 31 percent of women say they have calculated the amount of money they will need to live comfortably in retirement, while 50 percent of men have done so. Gen Y respondents are the least likely to have received professional financial advice (42 percent) among all generations. But they also are the most interested in receiving advice in the future (83 percent), the report finds.